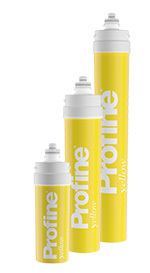 PROFINE® YELLOW is the total demineralization of water. Thanks to the mixed bed resin the reduction of salinity is total. It is used for the production of demineralized water especially in technological and industrial plants. Prohibited drinking use. 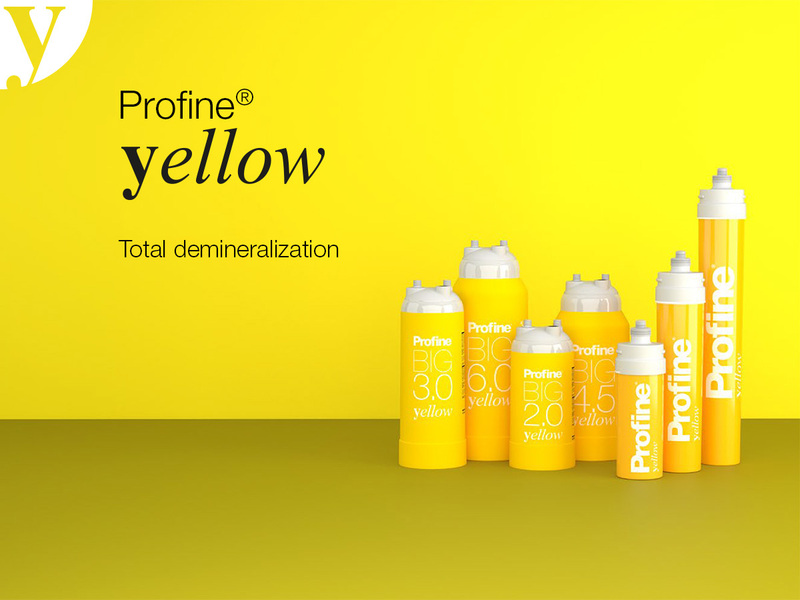 PROFINE® YELLOW for total demineralization of incoming water, with cationic and anionic exchange resin. 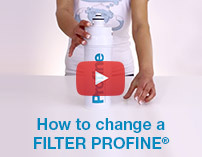 Filter for total salinity removal. 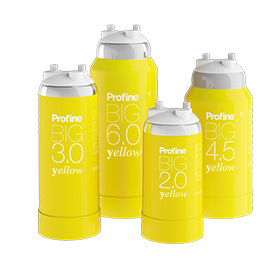 Drinking water treated with Profine® Yellow is strictly prohibited. * Flow rates and calculated autonomies with an inlet water hardness of 10 ° f.
to meet all your needs. It is ideal for use in professional and industrial areas where water without salts is needed. We recommend the replacement of the cartridge at the end of its capacity rate is too slow. It’s better that you replace the cartridge within 365 days of its installation. circuit by opening the downstream tap.